If you are considering buying a property then most likely you’ll need the help of a mortgage to do so. A mortgage is a specific type of loan that uses the property being purchased as a guarantee against the money being borrowed. Mortgages are usually obtained from banks or private lenders, though the use of a mortgage broker may help find the best terms. When you need to finance the purchase of a new property, a mortgage is usually a good option. Most mortgage options are offered either by banks or private mortgage lenders. 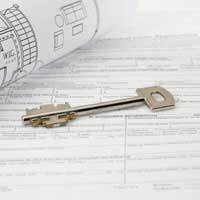 If you don’t think you have the time to research each option individually then working with a mortgage broker, a type of middleman who connects those wanting to take out a mortgage with those able to provide a mortgage, may be a good choice. Terms of mortgages may vary, but for the most part the mortgage for which you qualify will be based on factors such as your past credit history, how much of a deposit you can put down, the value of the property you are seeking to purchase and the length of time you will require to repay the loan. Different mortgages will offer different terms regarding the interest rate. A standard variable rate means that the interest rate will be adjusted each month, usually according to the Bank of England’s base rate. A tracker rate means that the interest rate will track another base rate set independently from the mortgage provider. There are also discounted interest rate mortgages, fixed interest rate mortgages, capped rate mortgages and collared rate mortgages. When you are arranging a mortgage it is imperative that you understand the interest rate terms and what it could mean for your monthly repayments before formally agreeing to them. When you finance the purchase of a property with a mortgage it is also vital that you understand how you are repaying that loan. Repayment mortgages mean that you will repay both the loan and the interest each month. Interest-only mortgages mean that you will repay only the interest and will still need to pay off the loan when the life of the mortgage is up. Once you have researched your options and understand the terms of the mortgages being offered to you it is time to select a mortgage provider. Before agreeing to anything, check that the lender is registered with the Financial Services Authority lender. Only those lenders on the Register are regulated by the FSA and therefore must meet certain standards. Also check that the lender is not listed on the FSA’s list of unauthorised firms. If a lender is on the unauthorised list, or does not appear on the Register, then your ability to complain or claim compensation later will be greatly reduced if something does go wrong with the mortgage provided by that organisation. Arranging a mortgage requires a lot of thought and planning. If possible, take your time to explore all of your options before committing to a mortgage.